Obituary for John G. Trisch, II | Devlin-Rosmos-Kepp F.H. & C. S.
John G. Trisch, II, 92, husband of the late Pearl A. (Nagy) Trisch, of Phoenixville, PA , passed away September 11, 2018 at Parkhouse Nursing and Rehabilitation Center. Born on November 4, 1925 in Lloydell, PA, he was the son of the late Susan E. and John G. Trisch. He graduated from Beaverdale High School, Beaverdale, PA. He was of "The Greatest Generation," having served in the US Air Force for 2 years. 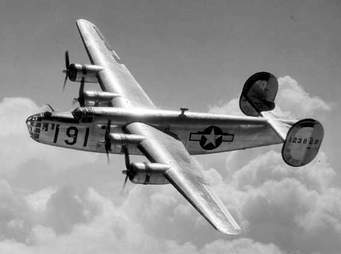 His overseas service was a gunner on a B-24 Liberator, he flew approximately 30 missions in China under General Claire Chennault of the 14th Air Force, the "Flying Tigers". Among his decorations were the Air Medal and Distinguish Flying Cross, he also earned the Good Conduct Medal, Southeast Asia Ribbon with Oak leaf cluster, Burma/India Campaign Medal, and Chinese Honor Medal. He returned to the United States and joined the Air Force Reserves. Once home he worked several years in the coal mines and earned his miner papers. In the late 1940's he moved to Phoenixville where he worked at Phoenixville Steel Company. After several years he took to carpentry, then to building houses. Later he worked for Hrivnak Motors and then to Francis Puleo Real Estate Company retiring in 2011. He lived with his daughter, Cindy and husband Dewey Nihart. He was preceded in death by his brother and 2 sisters, Joseph, Margaret, and Veronica. His wife Pearl A. (Nagy) Trisch and daughter Donna R. Lacey. Daughter, Cindy S. wife of Dewey Nihart. Danelle, Suelyn, Stephanie, Jennifer, John, Mark, Victoria, Susan, Kimberly, Amy, and Katie. Christopher, Chloe, Corey, Alexis, Jordan, and Lana. Relatives and friends are invited to attend his Funeral Mass at St. Ann Chapel, 604 S. Main Street, Phoenixville, PA on Thursday, September 20, 2018 at 11:00 am with Rev. John Newns officiating. Burial will follow in Fernwood Cemetery, Royersford, PA.
A viewing will be held in chapel on Thursday from 9:45 to 10:45 am. In lieu of flowers contributions may be given to The Heart Foundation at www.heartfoundation.org .